I met Cynthia Matthews sometime back at ASMPNY Fine Art Portfolio Review. 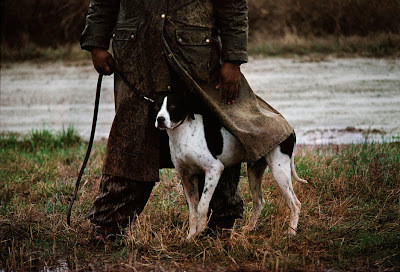 As she explained, "It all began in 1985 when I was sent on assignment by Town & Country Magazine down to Tennessee to photograph the National Bird Dog Championships - some call it the Kentucky Derby of bird dog trials. I got hooked and the "addiction" led to many different locales in addition to Tennessee: Florida, Georgia, Alabama, South Dakota, North Dakota, Saskatchewan, Manitoba, New Jersey and New York." Cynthia Matthews Website. I love these images. Such a unique quality to them. Very evocative, almost nostalgic. Yet straight forward, without artifice. Very beautiful, thank you for posting. An extremely pretty and welcome posting. 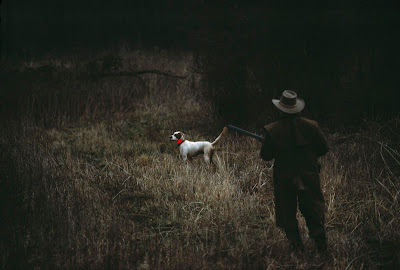 The breed of dog I live with, is for woodcock flushing from the brush, and I have to say that has usually been painting which has captured that anxious energy and lightning trespass. To portray it photographically is not only technically difficult, it calls for true feeling for the act. I am very grateful to see this. Very, very beautiful work. 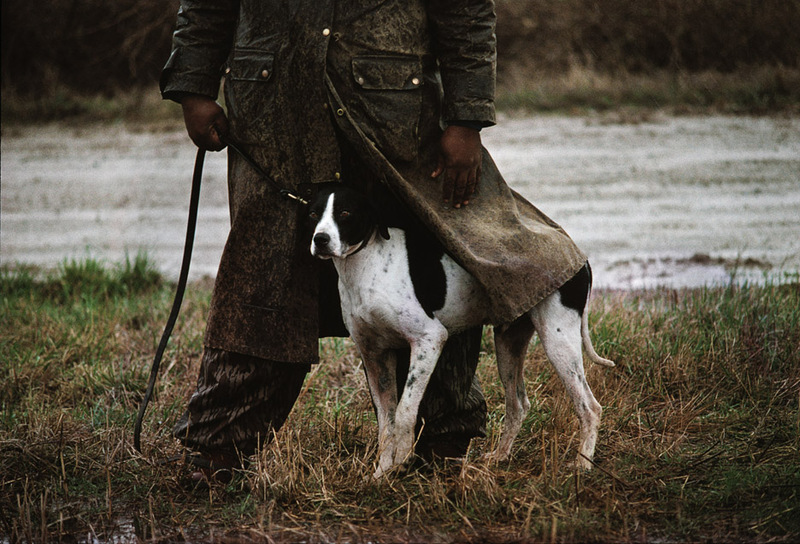 I am moved by these photographs. 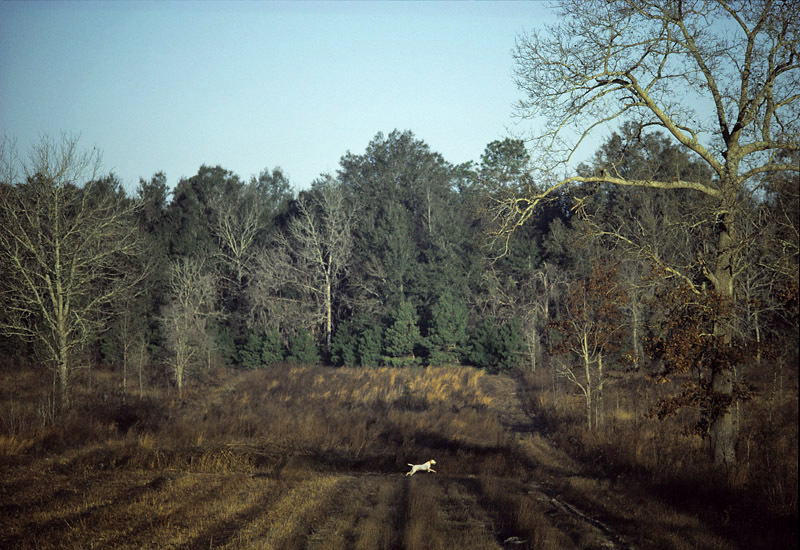 Cynthia's Bird Dog Country is both lyrical, painterly, beautiful and historical in context. Her love and knowledge of this ancient sport is obvious along with her own expertise as a rider, seeing that many of the images were made on horse-back. This work is a treasure for any collector of art or photography. These pictures capture moments of a beautiful primal energy- masterfully composed, they hold mystery, emotion and heart. I'm so happy to see this work here! What a beautiful tribute to the bird dog by Cynthia Matthews. Your blog inspired me to look for more works from this talented photographer. Thank you. Wonderful photos. I came across them by chance, as is often the case, and they really grabbed my attention. 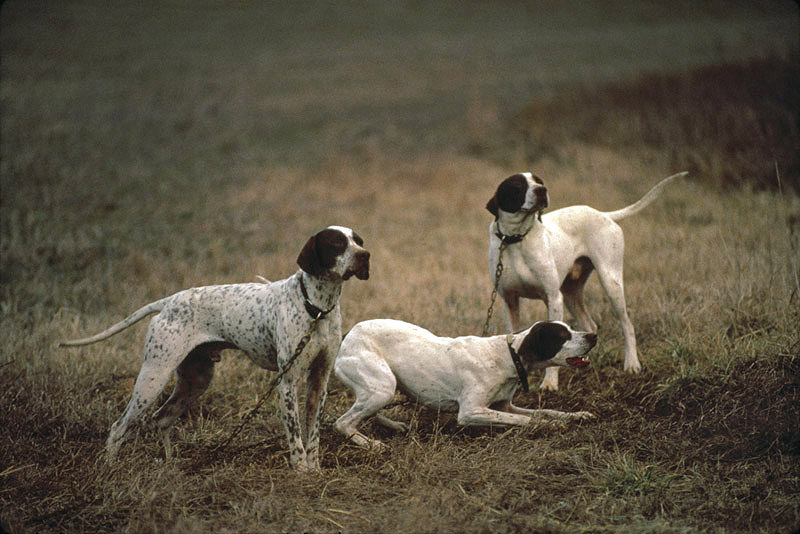 The group of pointers really sums up their inherent disposition well. Many thanks for posting these.